The protracted civil war in Sudan which is one of Africa’s longest and most destructive civil war has caused massive refugee outflows over the years into the neighboring countries in 1990s. Due to the influx Assosa Refugee Program Coordination Office was established as a liaison office to coordinate refugee assistance interventions and to facilitate the collaboration between UNHCR, UN Agencies and NGOs in 1997. The Benishangul Gumuz region is located in the western part of Ethiopia. The region is bordering Sudan. The current total population of the region is estimated to be around 1,005,001. Around 92.5% of economically active population of the region is involved in agriculture, with shifting cultivation being the major source of livelihoods of the majority of the population. The region is endowed with different kinds of resources that have not yet been exploited to the maximum, including rivers, large cultivable land, minerals, forests (Bamboo, incense and gum trees), honey, fish and crops. According to Regional Bureau of Agriculture report (2016), the region endowed with 3,224,682 hectares of cultivable land, extensive grass lands and numerous irrigable rivers, and streams. Currently the region is hosting around 63,000 refugees from South Sudan, Sudan and refugees from great lake regions. 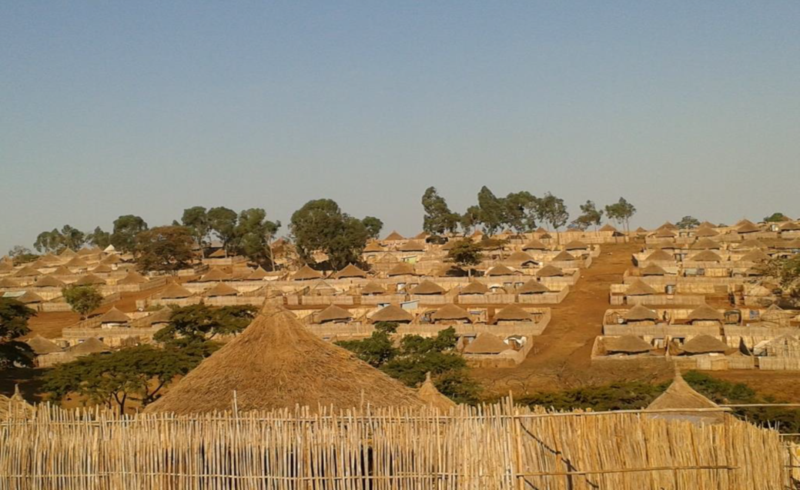 The Administration for Refugees and Returnees Affairs (ARRA), in coordination and cooperation with the United Nations High Commissioner for Refugees (UNHCR), has been providing international protection and basic assistances for refugees and asylum seekers residing in five established refugee camps; Sherkole, Tsore, Bambasi, Tongo and Gure Shombola. As indicated on the above table, existing population is composed of 32,742 (52.84%) males and 29,221 (47.16%) females while children under 18 years constitute 37,511 (60.54%) of the total population. About 36.79% of the refugee population is between 18 and 59 years of age. Refugees who are above 60 years of age account for 1.27% of the total population. The average household size is 3.8, with a significant number of single male households. In terms of tribal composition, the refugee populations comprise Funju, Maban, Uduk, Nuer, Dinka and other ethnic groups including refugees from other countries. They came mainly from the Blue Nile, the Upper Nile and the Equatorial Regions of South Sudan and most of them are farmers and pastoralists.